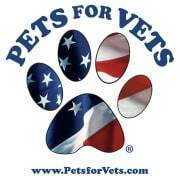 Pets for Vets changes the lives of Veterans and rescued pets. Pets for Vets program is open to any U.S. Veteran who lives in one of our chapter areas and is able to take care of a pet. Our volunteer trainers work one on one with our Veteran applicants to find the right companion animal. All costs associated with finding and training the best companion animal are paid for by the local Pets for Vets chapter. Would you recommend PETS FOR VETS MADISON WI?